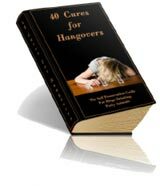 Several natural remedies are available for those suffering from a nasty hangover. No matter how you usually deal with one, you are likely to be surprised by some of these creative approaches to reducing a hangover’s effects. Did you know that some of the best natural remedies include lemons, miso soup, omega 3, bananas, wasabi, and even basic yoga? 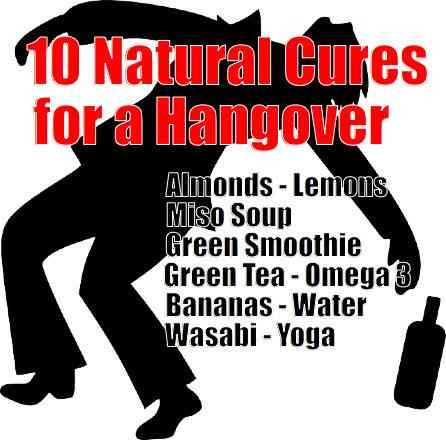 All of these contain different elements that can really help lessen the effects of that hangover. In addition to these remedies, almonds can be a great source of relief when it comes to hangovers. Surprising? Those who eat five or six before a night of drinking alcohol find that it really curbs the effects of intoxication. The reason is that these nuts are full of nutrients, which one often loses after consuming alcohol. So next time you plan on going out, be sure to stop by the store for a package of raw almonds and keep them close at hand. This infographic was provided by DrugRehab.org. Do you or someone you know need help with a drug addiction? DrugRehab.org gives you all the resources you need to get help. Join our once a week home remedies news letter and have home remedy and organic health and well being pdfs one emailed to your inbox every week totally free!. Assuming that you buy my personalized handbook, “The Big Book of Home Remedies” you may also gain straightaway admission to our privy members area which allows you to obtain any one of our 410 plus superb health and wellness books free of charge. What Makes Alcohol So Addictive? Sammy is the owner of this website and major contributor. Sam's work is also often published in other leading natural health and home remedies websites as well. The content Sam writes about is always thoroughly researched and based on real medical professionals opinions and users testimonials. Sam lives in the Sth Is. of New Zealand. The wasabi is a bit scary….what if you had a cut. That would really burn. I do like the lemons though…Either way, the best way not to have a hangover is to not drink at all or just a little. I know too many alcoholics and they never can quit. I agree, I gave up alcohol years ago, the best decision I ever made! Alcohol is poison.